There is no such thing as hidden sin. Trying to hide sin from God is like running from your shadow you can never get away. You can’t run away from God because he knows everything. Your family and friends might not know about your secret sin, but God knows. All the skeletons in your closet should be confessed because unconfessed sin can block you from God. 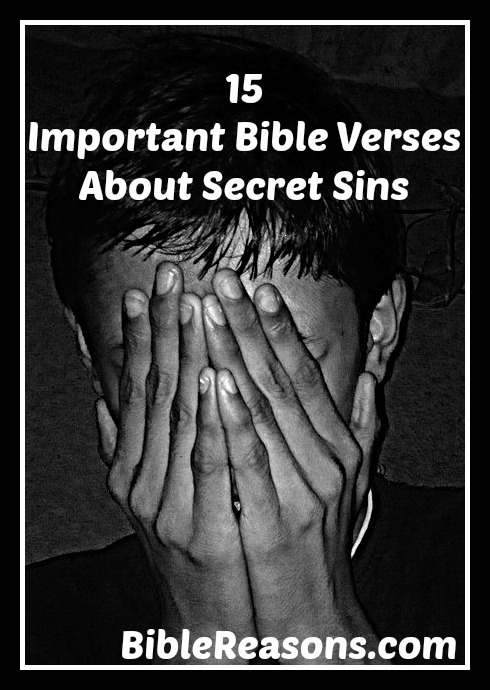 The other dangerous thing about trying to hide your sins is that you might think you’re getting away with it and that leads to deliberately sinning and backsliding, which is deadly and something that no Christian should do. Be happy God knows all your sins because that’s a reminder he is always with you. Lay down that burden. Confess your sins today! God knows everything about you and he is always watching you. Repent of the hidden sins you don’t know about. Repent: Turn away and follow Christ. Bonus: Don’t deny your sins. See it as God sees it.